Parker is an industry leader in hydraulic parts design and manufacturing. When you buy Parker hydraulic pumps Indio CA, you know you are getting the very best in efficiency and performance. Parker’s products are backed by expert engineering and rigorous quality control processes. 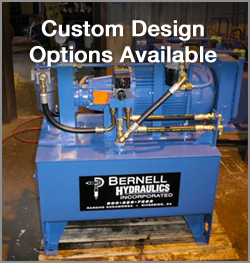 At Bernell Hydraulics, we are proud to bring you such high-quality parts for your important hydraulic applications. Your hydraulic pump is an indispensable part of your hydraulic system. It’s important to choose the right Parker hydraulic pumps Indio CA, in order to get the best performance and efficiency out of your machine. Factors influencing your choice of hydraulic pump include the required pressure and flow rates, as well as the stability, complexity, and ruggedness of the pump system. For example, Parker’s Gold Cup pumps have proven especially effective in high pressure, high power density equipment like drill rigs, cranes, shredder, and power generation applications. When you purchase your hydraulic pumps from Bernell Hydraulics, you can take advantage of our company’s long history of experience with hydraulic parts and service in general and with Parker specifically. As an authorized Parker distributor, we have the authentic parts and factory resources you need to get the best possible parts. We can special order any pumps that we may not have in stock. We can even install them for you onsite through our mobile field service.